Jessell L. F. lived his life for the Lord. 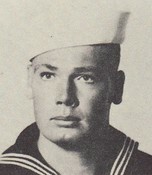 He was raised in Abilene, Texas; served our country in the Navy during the Korean War and World War II. He married Monzelle Greer on December 24, 1953 in Cisco, Texas where he was a teacher. Jessell and Monzelle moved to Garland in 1959. Jessell retired from Presbyterian Hospital in May 1989. Jessell then returned to his love of teaching until his sudden illness September 21, 2003. Jessell fought his battle until December 13 when he went to be with his Lord. Jessell loved his family and is survived by his wife of Garland; one daughter, Mona Caswell and her husband Bill of Midland; one grandson Benjamin of Midland; one granddaughter, Brandy Mertink and husband John of Midland; and one great -grandson, Brock of Midland. Jessell is also survived by three brothers; Hershel, Richard, and James; three sisters Nona, Letha, and Bobbie; many nieces and nephews, and host of friends who will miss him greatly. Garland: Jessell Lee Frank Bailey, 79, died Saturday, Dec. 13, 2003. Services are 2 p.m. today at Orchard Hills Baptist Church in Garland with burial following. Arrangements are by Restland Funeral Home in Dallas.